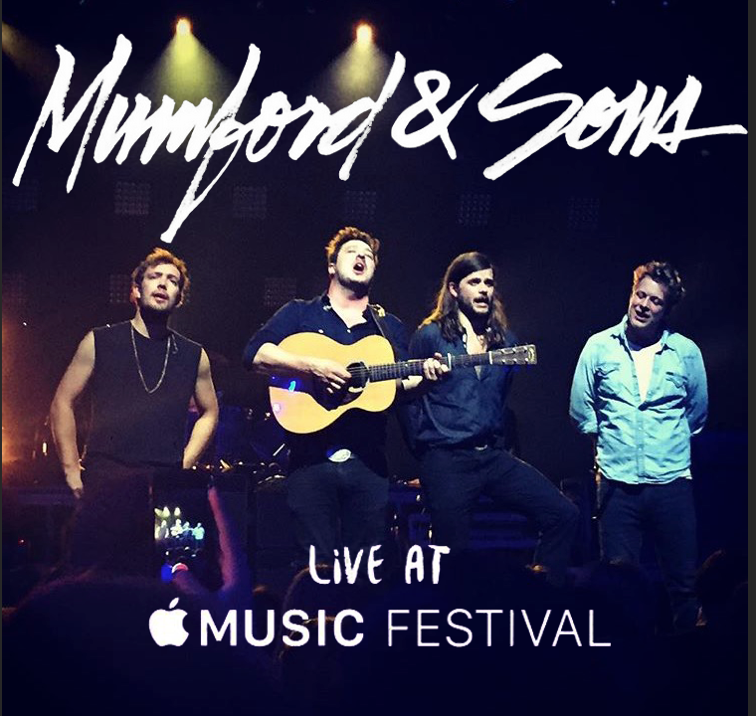 The Apple Music Festival comes to its penultimate night with London's homegrown Mumford & Sons taking to the stage, featuring a performance from Jack Garratt. The musical foursome return after their headline Reading and Leeds show with their trademark banjos and horns, delivering an hour and a half of their classic tunes like I will wait and 'Little Lion Man', 'Thistle and Weeds' and 'The Cave' as well as songs from their upcoming album- something essential when performing at the Apple Music Festival! The group performed their song 'Cold Arms' completely unplugged, which is a really rare thing to do at a venue the size of the Roundhouse. The audience stayed completely silent for the band during this and it was really the highlight of the night, as we were able to hear the band (just about) in their purest form. Jack Garratt opened the show with his one man band set up, performing an electrifying combination of electronic music with his soulful almost country voice, performing his latest hit 'Weathered,' and a cover of Disclosure's 'Latch' - who just performed at the festival two days ago. Garratt also joined Mumford & Sons on stage to perform a haunting cover of Eurythmics' 'Sweet Dreams' together, and will be joining the band on their tour at the end of this year. Noah and The Whales' Tom Hobden - a childhood friend of the band's- accompanied them in their set on the fiddle, really completing the whole sound of the band and giving them their country - rock edge which makes them so unique. Mumford & Sons never fail to impress, last night being the most musically brilliant performance of the festival so far. Check back for the last night of the festival tonight with James Bay and Florence and the Machine taking the stage to close the Apple Music Festival!